Dry Offset Print Training - Sanden North America Inc.
A good start to any successful print job is making sure you have good art. However, even great art and new equipment with the latest technology can produce undesirable results, lengthy changeovers, and a high rate of scrap. When staff lacks experience or the necessary trouble-shooting skills, your productivity and product quality can suffer. This leads to lost profits as well as customers. If your staff needs training and you would like to increase customer satisfaction, reduce your scrap and increase efficiency, our Dry Offset Printing courses will give your company the keys to industry standards in quality and press knowledge. 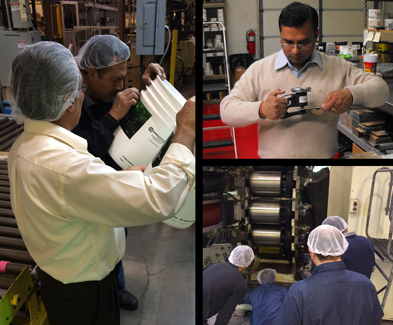 Through hands-on press labs, informative lectures and in-depth discussions, as well as proofing systems and analysis, your staff can expect to learn the keys to great dry offset printing! Visit our Contact page to request a course outline and inquire about available class times..